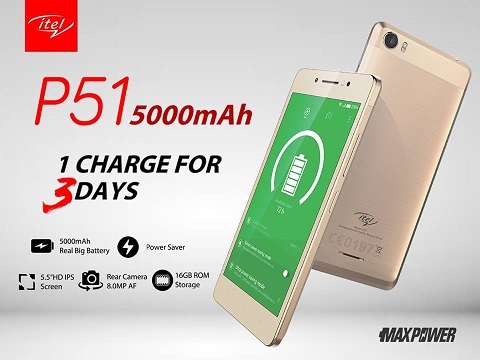 Itel P51 Max Power smartphone is the first of the Max Power series , and it key feature is it's 5000MAH batter , that promises 3 days of usage when charged once ,outstanding stamina right? Also this smartphone sports a 5.7 inch HD IPS Display,, it also feature a 1.3GHz quad-core Processor with 1GB RAM and 16 GB of inbuit storage , it runs on Android 7.0 Nougat. Optional Camera (Features) Autofocus, Ring Flash, Flash.